Breyer-Stablemates. 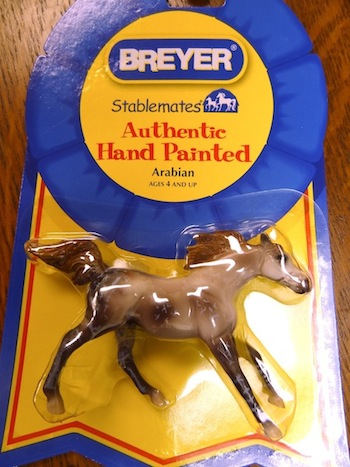 Attention to detail is Breyer's hallmark, and Stablemates are no exception to the rule. Highly coveted collectibles, they are great toys too! Horses measure approximately: 4"L x 3"H. Assorted horses available.